OBS! PGA, OLIKA BATCHER/LEVERANTÖRER KAN FÖRPACKNIGEN SE ANNORLUNDA UT ÄN PÅ BILD. 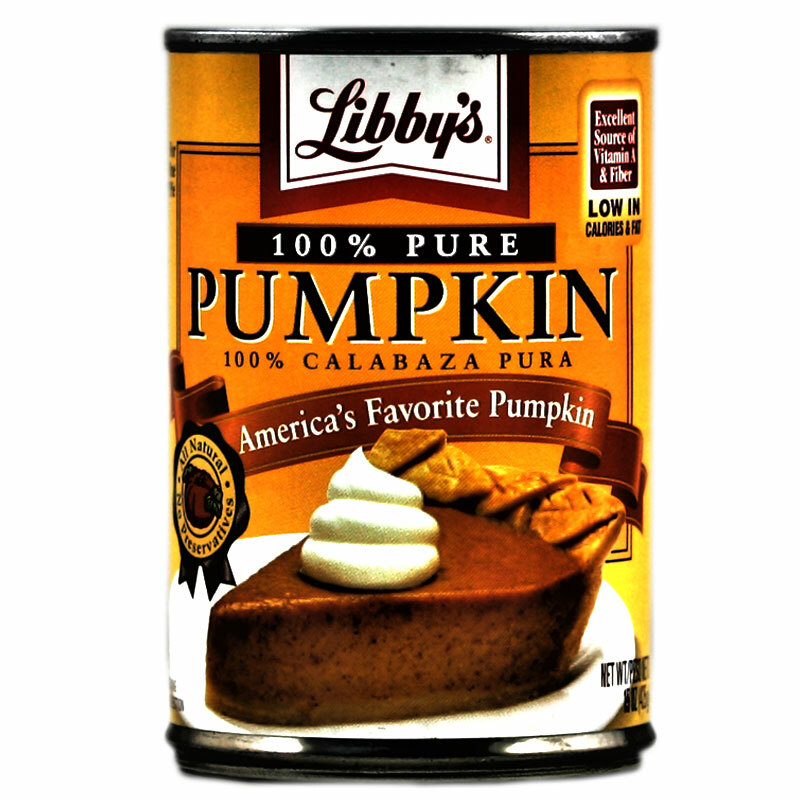 Perfect as the base ingredient in sweet or savory recipes, each can of LIBBY’S 100% Pure Pumpkin is all-natural and contains no preservatives. Our Dickinson variety of pumpkin goes from seed to can right here in the USA. Each 15 oz. can contains enough pumpkin to make one 9” pie. Glöm inte Carnation Evaporated Milk som är en av ingredienserna till Pajen. Pumpa. Näringsinformation: Per 100g. Energi: 171kJ/41kcal / Fett: 0g / Varav mättat fett: 0g / Kolhydrater: 8,2g / Varav sockerarter: 4,1g / Salt: 0,01g / Protein: 1g.